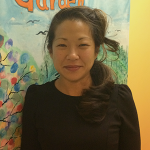 Hae Sung has been an Inwood resident for four years. She has a bachelor’s degree in Social Work from West Virginia University, a Master’s Degree in Education from SUNY Buffalo, and a Paralegal Certificate from Duke University Continuing Studies Program. Her positions have included being the Accounting Manager of a small Manhattan finance company to Fifth Grade Teacher, in rural North Carolina. Hae Sung served on the Finance Committee, set up through Inwood Community Services’ non-profit status, to allocate donated funds given to the victims of the fire on 207th Street, on January 3, 2012 Hae Sung has been on Inwood Community Services’ Board of Directors for almost three years. She is very proud to be associated with a community organization that has such a tremendous human impact.